Now for the 1 percent of people who haven’t seen Bandersnatch yet, let me explain. 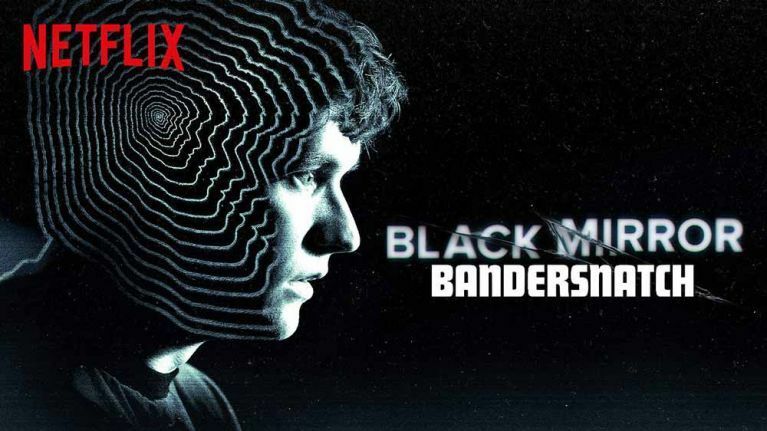 Bandersnatch is a part of Black Mirror, a Netflix show centered around the dangers of technology and people. The stories are not chronological and are much like short films themselves. Bandersnatch is a full-length film version of one of these stories, but the strange part is that it’s a choose-your-own-adventure movie. The film is set in the 80’s and revolves around the main character creating a video game about a twisted fantasy novel. Throughout the movie, you are given random choices to make that will affect the outcome of the ending you will get. You can control these choices by viewing it on a smart device or TV. I went in to the experience thinking it was going to be easy to make choices, one with an obvious good or bad answer. The choices you were making started off innocent and seemingly harmless, like choosing what to eat or what song to listen to. This quickly turned and I was having to decide between doing acid or killing my father. Each choice you make affects the other choices you might get later in the film, which leads you to different endings of the story. When I say different, I mean VASTLY different. These endings completely changed the tone and setting of the movie. I ended up watching this 1.5-hour film for about three hours because the endings were so bizarre. I haven’t even seen all of them yet, but so far I’ve hurled the characters off a cliff, killed the father, and, oh yeah, got killed taking a train in a dream. Needless to say, this movie is not boring and can become very addictive very fast. Anyone who has seen the Black Mirror show will love this movie, and even if you haven’t seen the show, if you like really dark and mysterious movies, you will like this. I recommend picking the craziest choices you can. It’s more fun that way. Don’t just stop at one ending, mix it up a bit. You never know how the movie will end for you. My recommendation is to watch with some friends and sit around taking turns on choices. If you’re bold, watch it by yourself, but don’t blame me if you never want to play video games again and become scared of looking into mirrors.